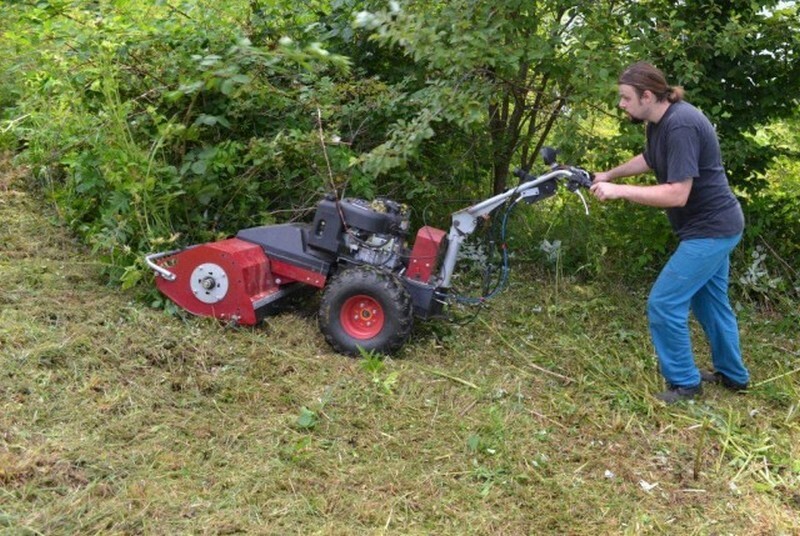 The MC 100 mulcher is intended for the most demanding conditions. 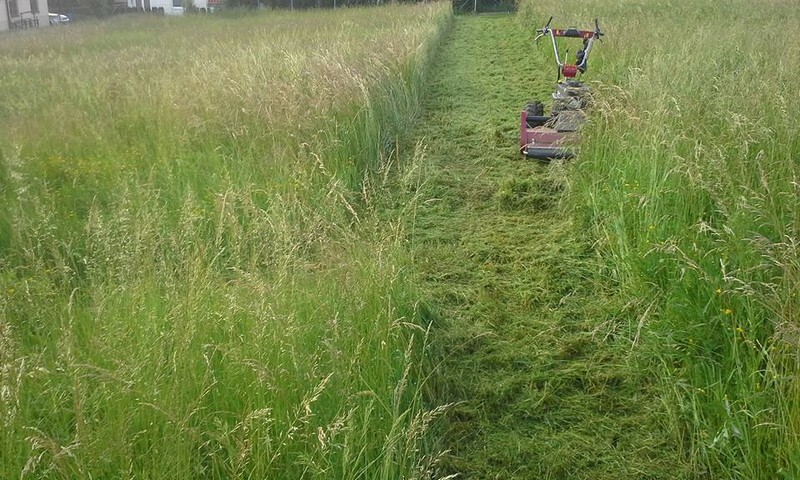 It is able to mulch the grass more than 1 meter higher. 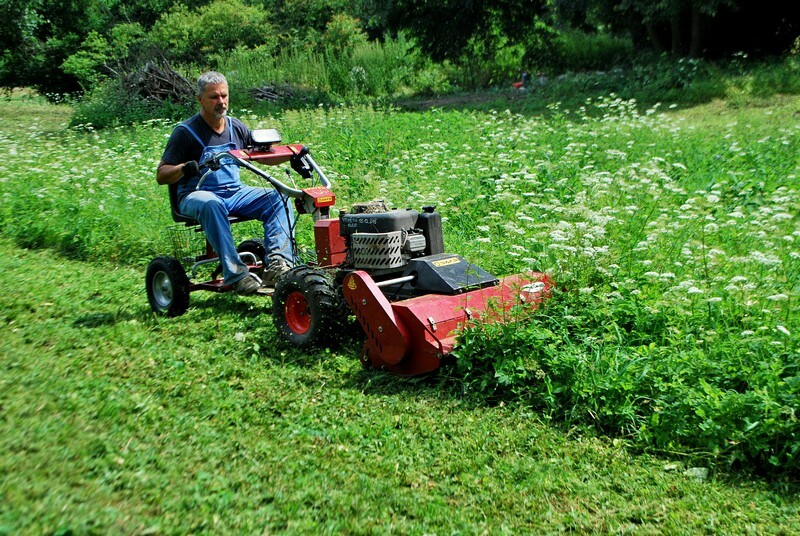 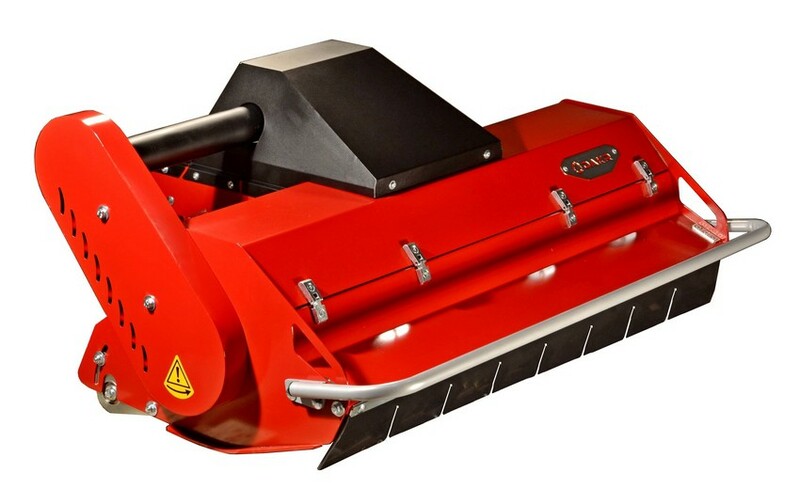 It resists much better in collision with stones or other obstacles than the other mowers and mulchers. 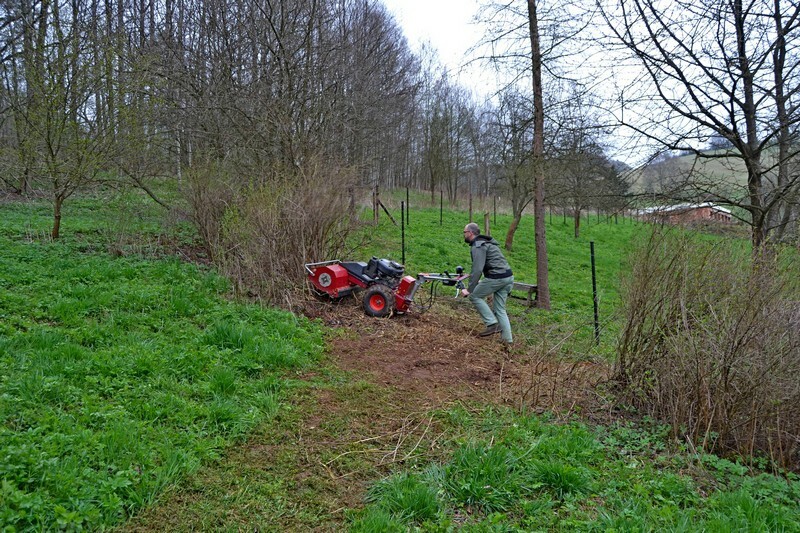 It can cope with self-seeding shrubs. 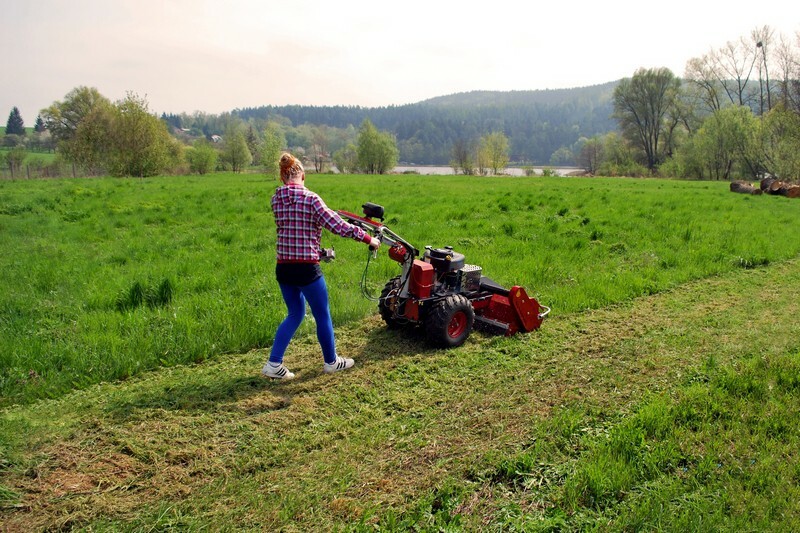 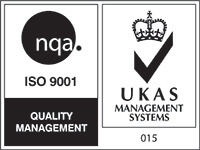 Despite the reduced danger of damage it is necessary to keep the safety regulations. 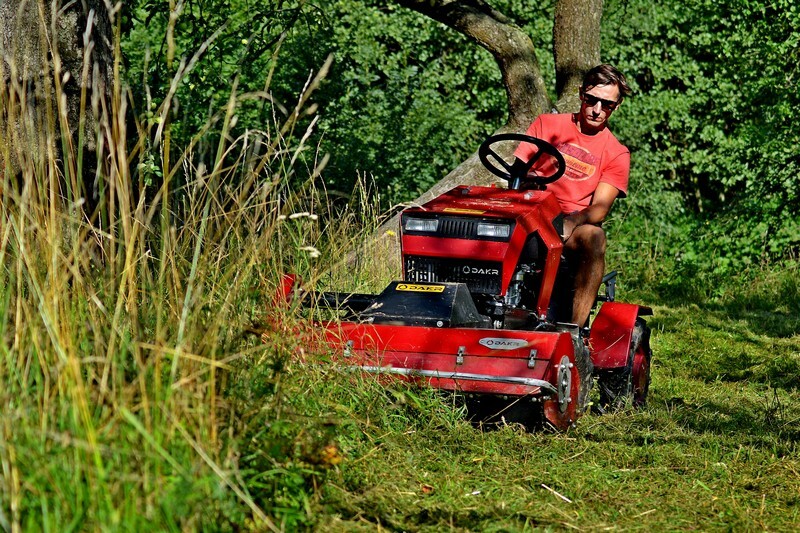 The mowing equipment comprises of horizontal rotor with 36 oscillating special blades. 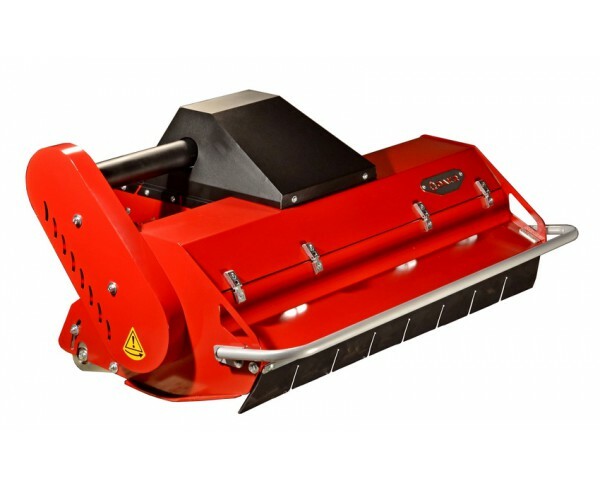 The stubble height can be set within 3-12 cm by means of adjusting the travel roller. 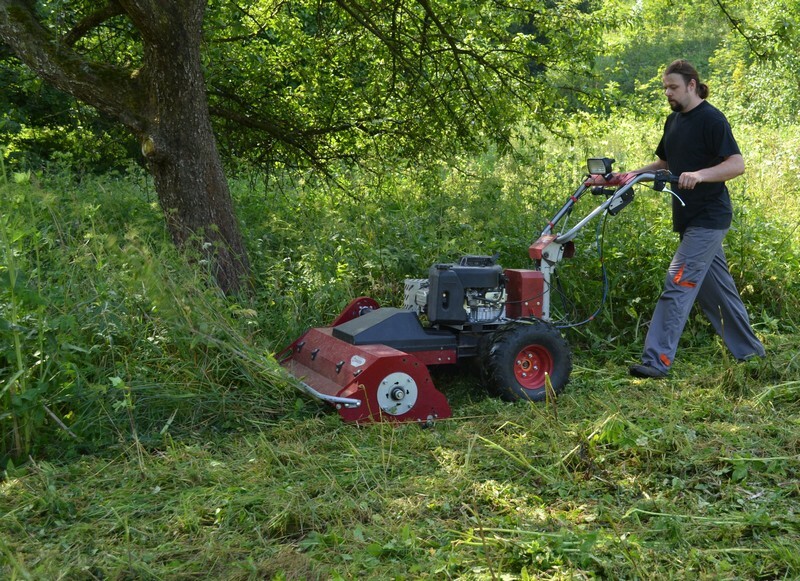 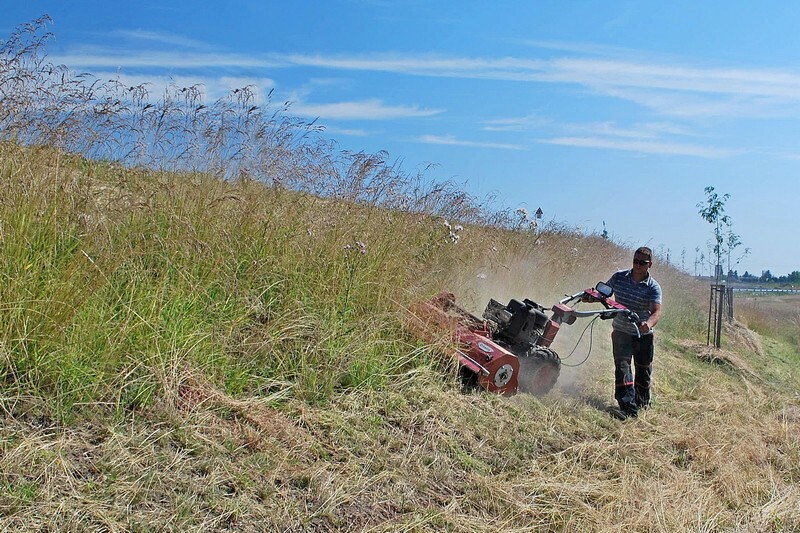 The MC 100 mulching machine in connection with the Panter FD-3 driving unit remains horizontally tilting so it copies the terrain unevenness and it is sufficiently stable even in the hilly terrain. 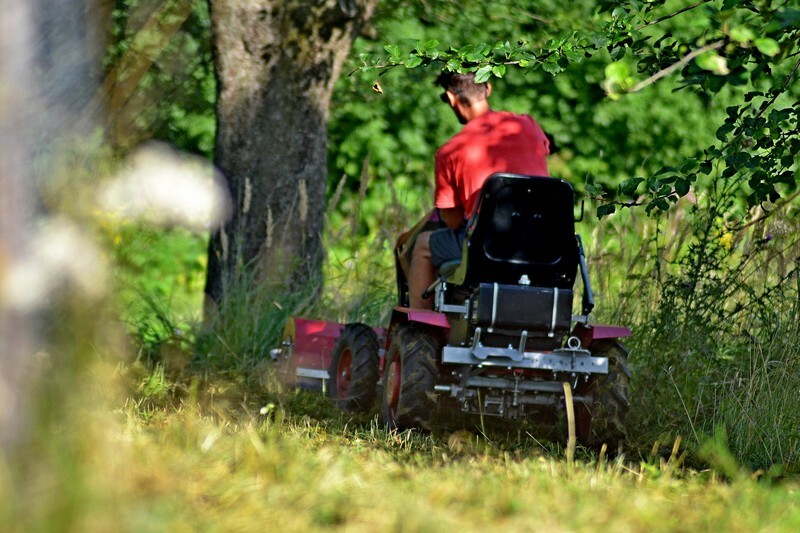 The mowing device is covered in steel sheet metal, which minimizes the option of flying off stones, wood, and other objects which can occur in the mowing area. 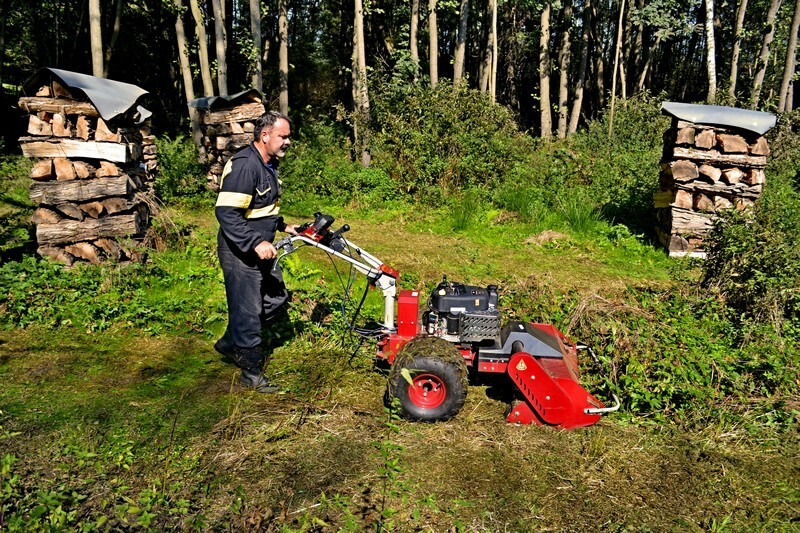 The way of connection with the FD-3 driving unit enables the mulcher horizontally tilting and it copies the terrain better.